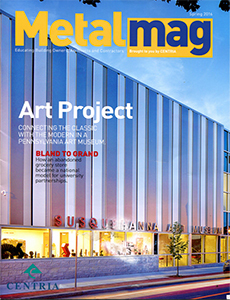 Hershocks’ recent installation of CENTRIA Formawall® and Versawall® metal panels at the Susquehanna Art Museum (SAM) was featured as the cover story in Metalmag’s Spring 2016. The article, “Art Project,” describes the design process for SAM’s new, permanent home in Harrisburg, PA and how their designers worked with JEM Group and Hershocks to achieve a beautiful and unique metal exterior without unnecessarily driving up costs. Click here to read the article. 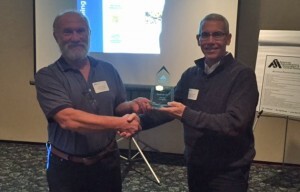 Hershocks, Inc. was awarded the 2016 Safety Award by the American Subcontractors Association. The award was based on criteria such as mod rate, safety program, existence of a safety committee, loss days and reportable accidents. The award was accepted by Dwayne Weaver as CEO of Hershocks at the January 21st ASA Meeting. 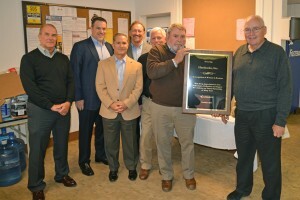 The Ralph Deaven Lifetime Achievement Award was created by The American Subcontractors Association of Central Pennsylvania (ASACP) and named after Ralph Deaven, former president of the ASACP and Hershocks. For over 25 years, the award has been given to individuals who have made significant contributions to the improvement of the construction industry. To learn more about the American Subcontractors Association of Central PA, click here. Hershocks was recently the subject of a feature article in US Builders Review. The article, “Hershocks, Inc. Making a Grand Entrance for 79 Years,” discusses our history, capabilities, notable projects, and includes responses from Hershocks’ vice president, Greg Deaven. 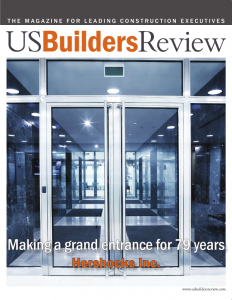 US Builders Review is a national trade publication read by a targeted audience of general contractors, developers and other leaders in the construction industry. Click here to read the article.